Jim Mueller is a Brookwood shareholder and a member of the firm's management team. He serves on Brookwood's Board of Directors and also is the Managing Principal of Seattle-based JC Mueller LLC. Jim has worked with Brookwood since 2012 and brings more than 37 years of real estate development expertise to the organization. Prior to founding JC Mueller LLC, Jim spent four years as the Senior Director of Development for Vulcan, Inc., a Seattle-based Paul Allen Company. During this time, Jim was responsible for one of the largest recent redevelopment endeavors in a major urban center—the concept, planning and development of Seattle’s South Lake Union area. Working closely with teammates, city planners and neighborhood groups, Jim devised a plan to redevelop approximately 30 city blocks, creating much-needed life sciences research, office, residential for sale and rental, retail and complex mixed-use projects. Projects ranged in size from $30 million to approximately $300 million with an aggregate total build-out that will approach $3 billion. From 1997 to 2000, Jim was Senior Vice President & Chief Executive Officer, Asia, for Koll Development Company. Operating from offices in Shanghai, China, and Kuala Lumpur, Malaysia, Jim managed large-scale master planning, industrial, retail and warehousing projects in several Asian markets. Projects ranged in size from 300,000 square feet to more than 1 million square feet of leasable area. 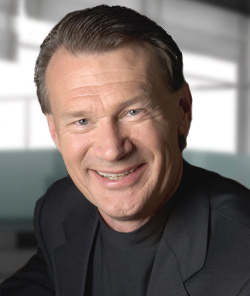 Prior to his experience in Asia, Jim was Senior Vice President for Koll Real Estate Group in Seattle from 1985 to 1997. In that role, Jim and his teammates completed 38 buildings, addressing nearly every real estate function over the course of his career at Koll. Jim began his career in Seattle as an architect with well-known firms Bassetti and Olson-Walker (now Olson Kundig). He has brought the design and planning sensibilities from these outstanding mentors into his approach to the development business.